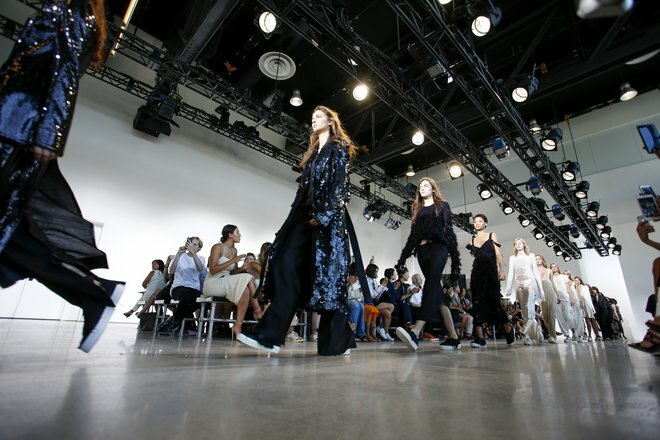 The New York Fashion week is behind us and everyone already moved to London for round two of the Spring ’16 season. It’s time to pause and point out the shows that have made an impact so far. Here is my selection go the top 10 collections of New York. Only Marc Jacobs could pull off a show on the scale of his “One Night Only” event at the Ziegfeld Theatre. Because only Marc Jacobs has the audacity and imagination to create a collection that could rival the epic setting. Peter Copping’s second outing chez Oscar was a revelation, respectful of the late designer’s legacy but with a confident personal flair that will ensure that these Latin-tinged cocktail numbers and gowns are at the top of celebrity stylists’ wish lists. Us regular girls will dream, too. Take patchworked dresses of lace, prints, fringe, and beads; add trailing scarves, crochet stockings, and metallic platforms; then sprinkle in shearling chubbies and lamé suits, and what do you get? 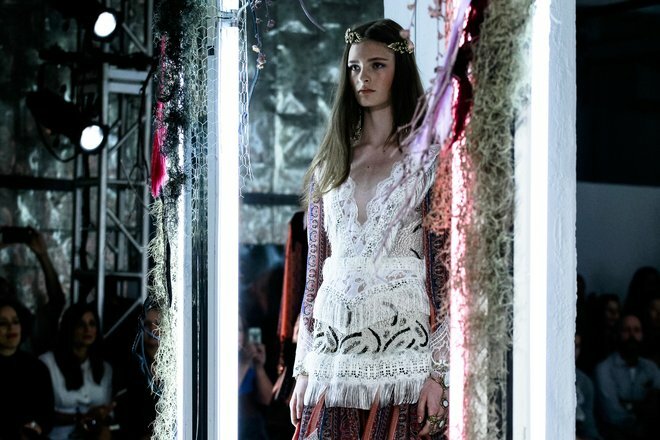 Sisters Kate and Laura Mulleavy’s best Rodarte collection in a long time. What better way to mark a 10-year anniversary than by going back to the beginning? 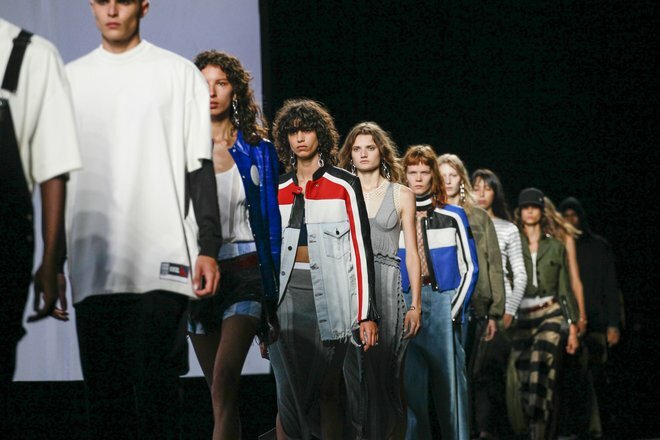 Alexander Wang got his start with streetwear, and you can bet you’ll be seeing the surplus jackets, parachute pants, and oversize hoodies he did for Spring ’16 pounding. 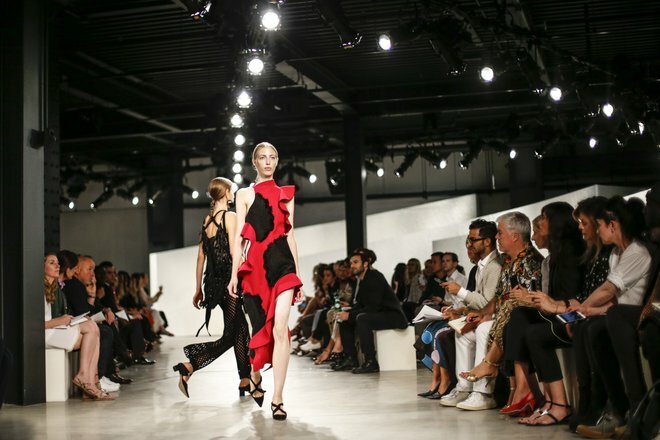 Haute craft came together with a cool spirit at Proenza Schouler, where Lazaro Hernandez and Jack McCollough imbued their special dresses with a Latin flair. 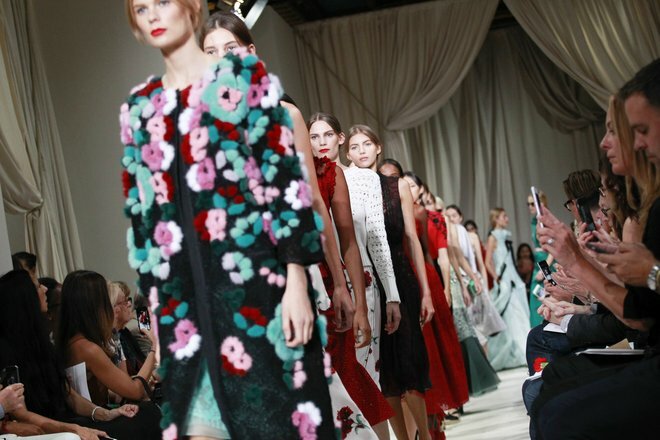 The ruffles, cutouts, and fil coupe dots on a trio of midi dresses had the front row swooning. 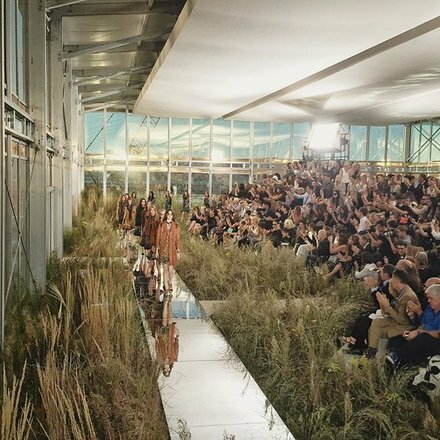 Riccardo Tisci’s one-off Givenchy show was never going to be small, we all knew that. But the Hudson River pier “favela” set, the live performances, and the bleachers full of public guests—all set against the backdrop of the 14th anniversary of 9/11—made it a fashion moment none of us will forget. Slip dresses were the week’s breakout trend, but nobody can lay more claim to the look than Francisco Costa. The Calvin Klein Collection designer riffed on his predecessor’s ’90s legacy for a collection that married lingerie details with deconstructed tailoring. 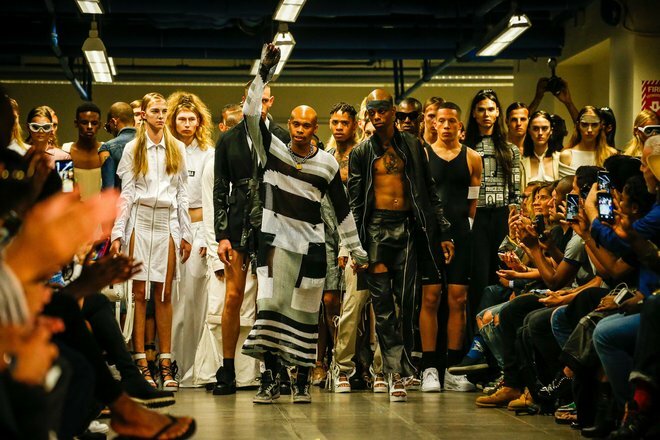 Shayne Oliver and his HBA collective’s deconstructed school uniforms cut through Spring’s wispy slip dresses, boho florals, and soft romance like a knife. But the really revolutionary thing about this label is its inclusive, come-one-come-all model casting. How do you take your Michael Kors? Utilitarian, tailored, and slightly butch? Or colorful, with lacy frills, and ultra-femme? The designer worked both stories for Spring to a winning effect. Stuart Vevers’s first big runway show for this all-American handbag company was utterly convincing. And he didn’t just nail the saddle bags and cowboy booties. Girls everywhere will be angling for his patchworked micro-floral minidresses.